Australian companies are moving ahead of their New Zealand counterparts in commercial building, with wood one of the key factors in the advantages they have gained. There is now a strong trend for new commercial buildings being built in timber, and engineered wood is clearly giving industry leaders the edge over traditional materials in many ways. Companies like Lendlease and Strongbuild are among the leaders in Australia, and are at the leading edge of the building industry for both mid-rise residential construction and high-rise office buildings. First mover advantages such as speed of construction, material savings and performance on certain sites are giving the leaders an edge over traditional materials. Both companies are part of Changing Perceptions of Engineered Timber in Construction, a national conference running on 28 September in Rotorua. This second annual conference will draw building owners, developers, architects, engineers, specifiers and many service and supply companies. The 2017 conference theme is Advantages of Timber in Mid Rise Construction. The keynote speaker is a senior project manager, Karla Fraser from Urban One Builders. 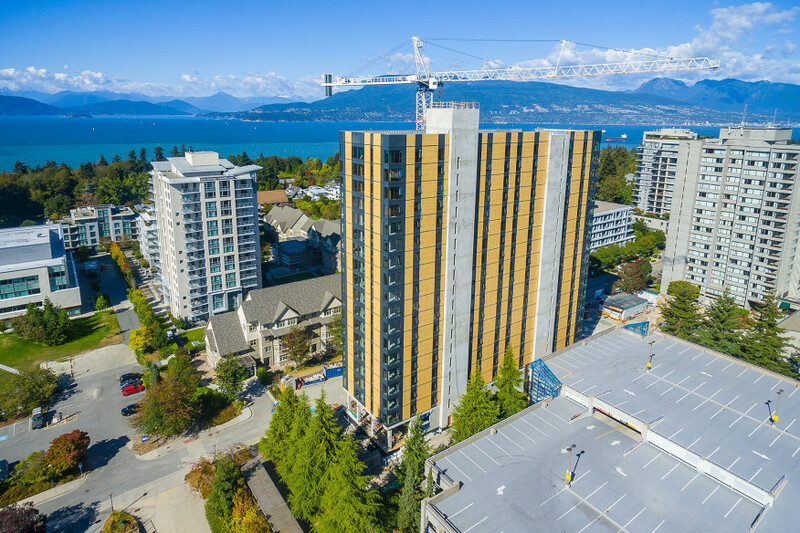 This leading-edge company delivered a new tall timber building – the now world-famous Brock Commons building on the University of British Columbia (UBC) campus in Vancouver, Canada. The project was completed ahead of schedule and was officially handed over for occupancy this week. At 18 stories high, Brock Commons is now the tallest timber building in the world. However, recent project announcements in both the UK and the US will see that record being claimed elsewhere soon. “We worked hard to find the right mix of speakers. “With our event partners, Timber Design Society and Building Officials Institute of New Zealand, we‘ve got a great one-day conference for building professionals to learn from. “We’re thrilled to have Karla as our keynote speaker. UBC’s building requirements reflect the university’s commitment to sustainability. Wood, as a renewable material, was chosen in part to reflect this commitment. Brock Commons was also designed to meet the Leadership in Energy and Environmental Design (LEED) Gold certification requirements. The fire safety design of Brock Commons underwent a peer-review process involving a panel of leading fire safety experts, scientists, authorities having jurisdiction, and firefighters. In a fire, heavy timber chars on the outside while retaining strength on the inside, slowing combustion and allowing time to evacuate the building. Brock Commons has been designed to meet the one and two-hour fire ratings required for this type of building, exceeding fire and seismic standards for a concrete or steel structure. Rotorua was the obvious choice as host city for an international commercial building conference with its Wood-First policy making it a local leader in encouraging sustainable commercial buildings. The conference is set to be part of a wood technology week of events coming to the city in September, including the FIEA WoodTECH 2017 two-day conference and trade expo.